The earlier NDA government had raised the limit for individuals to spend abroad on any legitimate purpose including on real estate. The RBI’s move will follow other liberalisation measures the financial regulators have begun to take after the Lok Sabha election results were declared. The Reserve Bank of India is likely to again allow individuals to spend $ 200,000 per year abroad, including in real estate, reversing a clampdown imposed in August 2013, that had brought the limit down to $ 75,000. The move is a confidence-booster measure the new government is expected to welcome as a sign that India has successfully navigated the rupee meltdown, which began in May 2013. The earlier NDA government had raised the limit for individuals to spend abroad on any legitimate purpose including on real estate. The government had then announced it would cut down on hawala transactions and make high net worth individuals use the domestic banking network even when they went abroad. Banks had set up accounts with cheque book facilities for individuals to sign in dollars, a move that had been listed as one of the most important signs that the Indian economy was being freed from archaic controls. But because of the persistent forex crisis, the UPA-II government and RBI brought the limit down to $ 75,000. Transactions in real estate had been barred, and several other restrictions imposed. The RBI’s move will follow other liberalisation measures the financial regulators have begun to take after the Lok Sabha election results were declared. While the RBI on Wednesday relaxed gold import norms, capital markets regulator Sebi on Thursday raised the individual limit for cash transaction in a mutual fund from Rs 20,000 per year to Rs 50,000. “The pressure on the rupee has gone down significantly in the recent past. It is now trading at around 58 against the dollar. The moves are logical and would be done gradually,” said a source privy to the development. 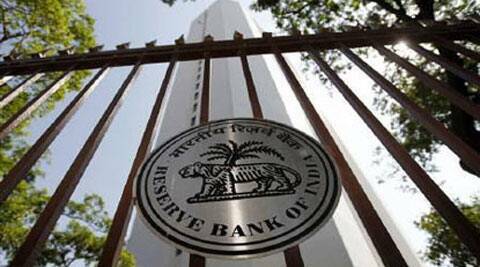 The RBI is expected to announce some more measures on June 3, when it announces its second bi-monthly monetary policy statement. With expectations of increasing supply, gold prices on Thursday crashed by Rs 800 to Rs 28,550 per 10 g in Delhi — its lowest level since August last year. In Mumbai, the price fell below the 28,000 mark, dropping by Rs 780 to Rs 27,840 per 10 g.
The Sebi move to liberalise cash transaction in mutual funds is a bid to enhance the reach of the products among small investors who may not have a PAN card or a bank account. Investments up to Rs 50,000 will not need a PAN or bank account. Industry experts have welcomed the Sebi move. “The step was initially taken to widen the net of mutual fund investors. Raising the limit to Rs 50,000 is a step forward to cater to the needs of a growing industry and the economy,” said Sundeep Sikka, AMFI chairman and CEO of Reliance Mutual Fund.